What is FDOT Road Base? First, we sell and deliver FDOT road base. FDOT is the Florida Department of Transportation. This is important to understand because each state has its own special set of rules, and each state has its own special natural resources available. Here in Florida, we are lucky enough to have an excellent road base readily available. Our road base consists of lime, calcium, silica and other minerals. These minerals come from a never ending supply of shells. You read that right – sea shells. As animals die or shed their shells, these shells wash up on shore and combine with sand. Over the decades, this slurry of sand and shell sink and compress. Delicate shells are crushed and beefy shells are not. This differentiation in aggregate size is an important factor in making a string road base. Each particle of shell, crushed or not, combine together with the fine powder of crushed lime and calcium. This is what we mine for, FDOT road base. When delivered, as it is freshly disturbed, FDOT road base appears as a dark grey and crumbly mass. It is easily spread by shovel or tractor. 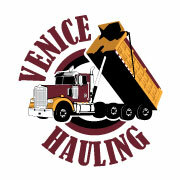 A good box blade or front bucket will smooth FDOT road base. In a day or two, as the road base dries, the calcium and lime do their bit and strengthen the aggregate into a semi solid mass, hard enough for a daily use road. It also has an appealing sandy white coloring and the residual salts help control weeds. What else? Every once in a while, you will get whole shells in your FDOT road base! How great is that? 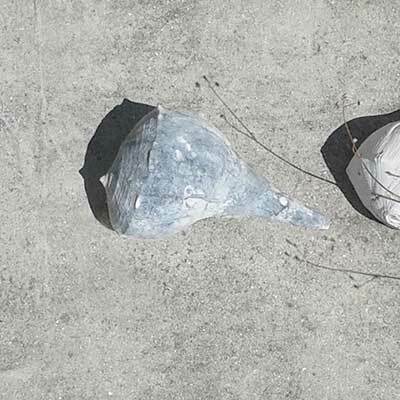 A perfect, stable, durable, aesthetically pleasing road – and it gives you shells! Florida is truly a state of natural wonders. We highly recommend FDOT rod base for your next drive way, walk way, path, easement, or road. Don’t confuse FDOT road base with our washed shell. 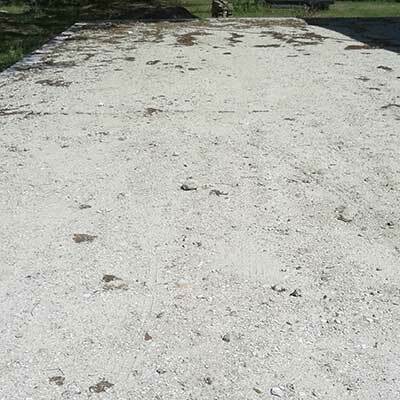 Washed shell is a good option for paths and drives too – but it consists of small, mostly intact, screened shells. 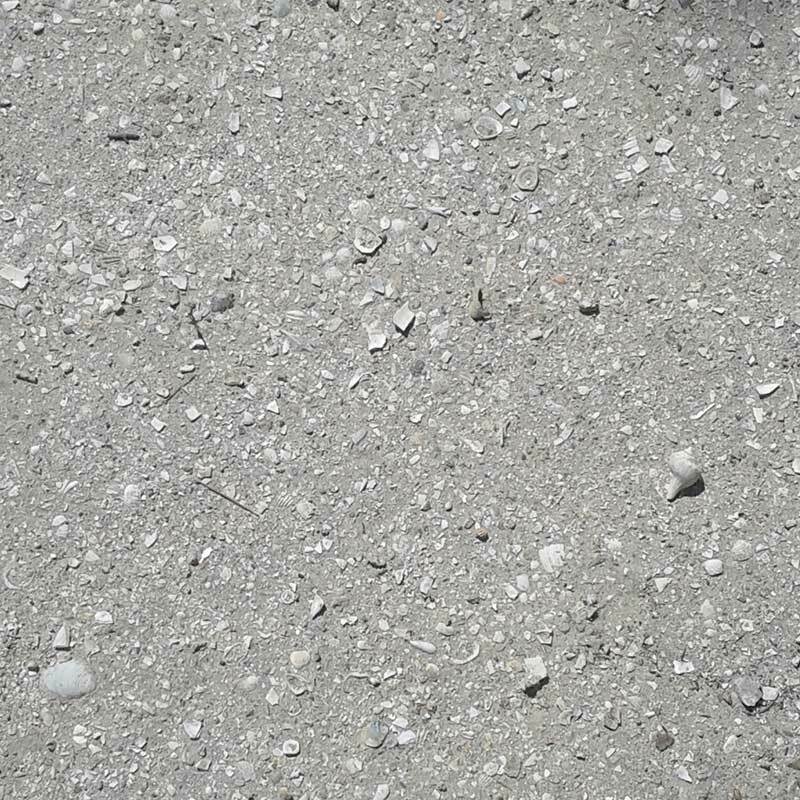 Our washes shell has a more bright white appearance, is more rough underfoot, and doesn’t compress as well as FDOT road base.